Categories > Coin Magic > My Latest Attempt at Geoff Latta's "A Trick With Three Coins"
Last year I put up a video of myself doing Geoff Latta's "A Trick With Three Coins." You all gave me a lot of feedback, and the performance was - well, not that great :-P.
Just thought I'd show you how much I took your feedback to heart. Ken, really quite an improvement - especially with the rhythm (my favorite hangman word btw). Clarity of effect also dramatically better. PS I’ve got to go dig up your post on video sound. Really clear and, if I recall correctly, not that expensive. Now I just need to redo the chroma Key/green screen. This one wasn't the best. I think you've done a really good job with it. I can appreciate how long that routine is and just how many sleights you have to pull off to make it work. Anyway good job and thanks for posting the video. I just saw an announcement that a new book on Geoff Latta's work has been published. The authors are Stephen Minch and Stephen Hobbs... and even though those weirdos spell Steven with a "ph," chances are it's a damn good book. 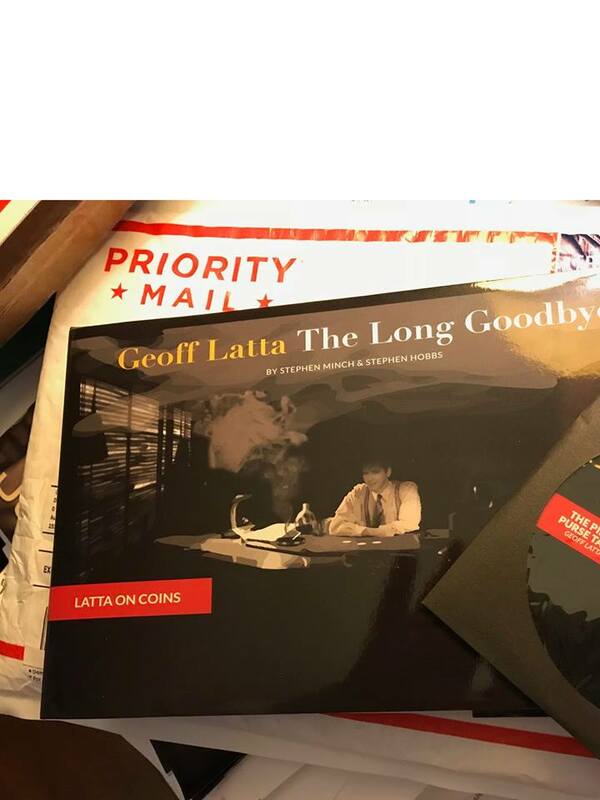 It's already been 10 years that Geoff Latta passed away (his death was reported by Richard Kaufman on the Genii forum on August 20, 2008)... and this book was announced with that picture by Richard Kaufman on Facebook 2 days ago. He said it is not available yet from Penguin Magic but you should keep checking their site if you are interested... most likely it will sell out soon. Holy Crap, Steve. Thanks for the heads up!! Looks like I'll be adding some more magic to my collection even though I told my wife I wouldn't :-P.